Need to develop a website? Thinking of using one of the many “Do-It-Yourself” web design sites? These sites claim to be the easy and affordable option, right? I’m sure you’ve all seen the ads on TV and Facebook telling us how easy and affordable it is to click together a website for your business using their platform. But is it really that affordable and easy? I often hear horror stories from new clients who have decided to seek out a professional when the ‘Do It Yourself’ web design route failed. In the interest of saving you time and money in the long term, I’ll explain why we should all steer clear of these DIY web design sites. DIY websites just don’t work in the real world. Sure, web design themes and templates look great when you’re thinking about purchasing one—but when you actually go to customize and add your own content and information to the them, they just don’t usually work out. It can be very frustrating, you just can’t force someone else’s design to work for your content/web needs. Templates get the entire process backwards and result in very awkward websites. DIY websites are not as simple as filling in the blanks. How many times have you seen a business website that is empty on some pages, un-balanced on others, and just appears to be an all around unfinished project? Chances are, these sites come from website creation services that sound good at the time, but very rarely end up with professional results. What they do end up with is your money, month after month, and your best intentions “to go in and make the needed improvements sometime soon.” Business professionals don’t have time to worry about this—that’s why they hire web design professionals instead. DIY websites are not necessarily cheaper. Yes, pro quality web design does have an upfront cost. True, there is a fee to host your websites on a business-grade server (you should expect no less). But when you average out the total cost over 3 or so years—a reasonable life span for a website—you’ll most likely find that professional custom web design is every bit as affordable as paying month to month for a mediocre DIY all-in-one website/hosting service. DIY websites don’t make the grade when it comes to SEO. SEO requires individual attention and professional experience to get it right. And the code has to be super speedy and impeccably clean for best results. These DIY sites may promise the moon for your SEO but the fact is they just can’t provide the kind of individual attention and customized solutions that you require to build a proper online presence for your company. At the very least, the basics of SEO are mandatory for any business that wants to be found on the web. Without it, you might as well not even exist. This is the unfortunate outcome for many business owners that choose the DYI option. DIY websites aren’t created with an ROI mindset. Many choose to think of websites as an expense. But the bottom line is that your business website should be making you money and supporting your efforts to earn a profit offline. When working with professionals and clear goals, achieving an attractive return on your investment becomes a primary objective. As technology improves in the future, so may the options for DYI web design platforms, but for the time being these sites are nowhere close to replacing the personal touch and attention of an experienced professional web development company. For more information, contact Groovy Concepts, corporate media specialists. All it took was one epic James Cameron movie to cause a huge hype for 3D video viewing in Toronto. More than 15 years in the making, delayed in part by the need to develop the needed technology to make the film, Avatar was a visual masterpiece, and fundamentally changed expectations of the viewing experience in theatres throughout Toronto and the world. It was also the first film to gross more than $2 billion, making it clear that 3D films were financially compelling as well. 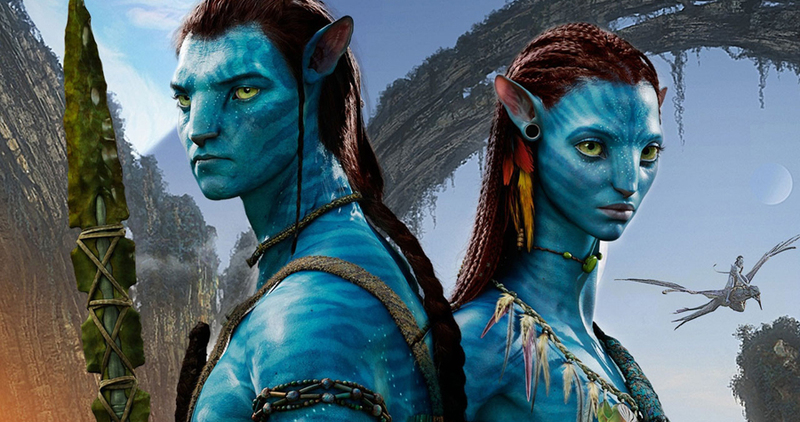 With its tremendous success, Avatar helped ignite public interest in 3D film and video production in Toronto. Consumer technology struggled to keep pace with early 3D TVs costing a fortune for home theatre enthusiasts. Yet 3D TV just never took off in Toronto for household viewing, and for good reason. First, you’d have to spend a lot extra on a TV that supported the technology, then you’d have to invest in enough glasses for everyone present to wear, and finally, you’d have to find content worth watching in 3D – all of which combined to be too big of a hurdle for most Toronto consumers. Recently, Samsung, the biggest TV manufacturer in the world, stopped producing 3D TVs. Other manufacturers have severely limited the number of models that will support 3D technology. The handful of TVs that do are really expensive, making it impossible for the average consumer to purchase a 3D TV, and leading many analysts to announce that 3D TV is either dying, or is already dead. Virtual reality video production, when done correctly, is truly immersive and allows for rich interactivity within the video, plunging you into the midst of the action as a self-directed participant. 360 video is only interactive in the sense that you can change your viewpoint, and is not as high tech or as immersive as virtual reality. 3D video is not interactive, and isn’t dramatically different from regular video for viewers other than that it appears to be 3D instead of 2D. Those important distinctions have significant ramifications for how videos are produced and stories are told through these different mediums. Virtual reality is uniquely suited to video games where the viewer is not passive, but fully engaged and participating in the storyline. 360 video production is ideal for allowing someone to explore a space and uncover elements of the plot for themselves, without becoming a character in the story. 3D video is best for your classic Hollywood storytelling format, just with some extra bells and whistles. Click here to read part 2 of this article where we’ll take a look at some of the similarities between VR, 360 Video, and 3D… and not all of these similarities are good for the growth of these mediums! In part one, we aimed to explain and highlight the distinctions between Virtual Reality video (VR), 360 video, and of course… the ever failing 3D video. In this week’s article we’ll be touching on the important similarities between these platforms. These particular similarities could be the deciding factors as to whether VR video and 360 video will take off in the consumer market and change the way the world views video or whether these new technologies will crash on take off… just like with their 3D video counterpart. First of all, in Toronto, the cost is significantly higher to produce and consume virtual reality video, 360 video, and 3D video compared to regular video productions. Whether it’s the camera rig required to film it, the software needed to stitch the footage together, or the headsets you have to wear, it all adds up to more money for everyone involved in producing and watching these types of video. There is a lack of quality content for these mediums. Although some Toronto brands have made big strides in recent months with 360 video production, there is a substantial lack of quality content available for each of these formats. Until there is a large, unique, and compelling library available, consumers probably won’t make the switch from standard video; as was the case with 3D TV. Between the quality of the videos, the viewing mechanism, VR video, 360 video, and 3D video have all been known to cause motion sickness. Until you can be assured of a nausea-free experience, it might be hard to consider adopting any of these technologies as your regular viewing style. With each of these formats, special accessories or a certain amount of space to move around in are required for optimal experiences. So, if you’re walking down the streets of Toronto, you can’t just participate in a virtual reality experience, and if you forgot your glasses, you won’t be seeing that video in 3D. It’s true that 360 video does a slightly better job with accessibility, especially when viewed on a desktop computer. However, if you’re viewing on a phone, you have to change the orientation of the phone by physically rotating it around you, while the headset experience is lacking in terms of quality. The accessibility of these technologies to potential viewers is a problem that needs to be solved before any of them can become mainstream. Finally, due to design, the virtual reality and 360 video viewing experience is completely individual. You can’t sit down and watch a virtual reality video with someone; you need your headset and then you experience it completely by yourself. The same is true for 360 video. Even if someone is watching the same video, you might not choose to explore it from the same angles, so you won’t walk away with the same experience as anyone else. This takes away the social aspect of watching a video or a movie, and puts these technologies squarely in the realm of things you might do by yourself when you’re bored rather than a fun activity to experience with friends. By shifting where the viewing experience fits into our lives, the technology moves even more into niche territory. Given that there are major obstacles to widespread adoption for virtual reality and 360 video production in Toronto and the rest of the world, what are the chances that these technologies will succeed commercially? At least for limited use-cases, there is definitely some hope. Virtual reality is a natural fit for video games, many of which look increasingly cinematic in terms of quality, and it could definitely become the new 3D cinema experience for movie-goers. 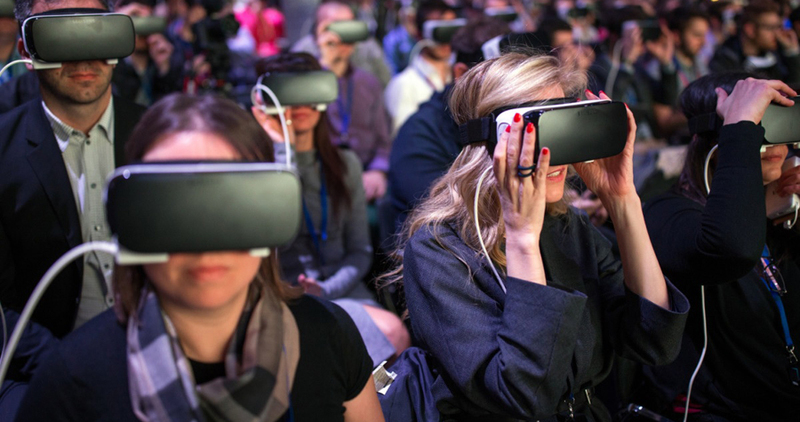 That might help revive cinema in Toronto, and would allow people who aren’t willing to invest in their own headsets to still experience virtual reality in a controlled environment. 360 video has fewer challenges because it hands control over the perspective to the viewer, but isn’t truly interactive. Given that the barriers to entry are substantially lower than for virtual reality, it’s more likely to become more accessible in the future than virtual reality. Being corporate video producers here in Toronto, we’re excited to see how these technologies evolve in the next few years!